Food for thought… just in time for earth day. I don’t know where all of you guys are, but it has been absolutely perfect here in sunny socal lately. I’m so stoked that the warm weather is here and am looking forward to lots of patio dining in the near future. Yesterday I took a little trip to the south bay and ended up at an awesome new restaurant in El Segundo called Paul Martin’s American Bistro. The credit for this find has to go to my buddy Jack who is currently living off noodles and such in China. Thanks for looking out bro! I hope you can readjust to American food when ya get back. 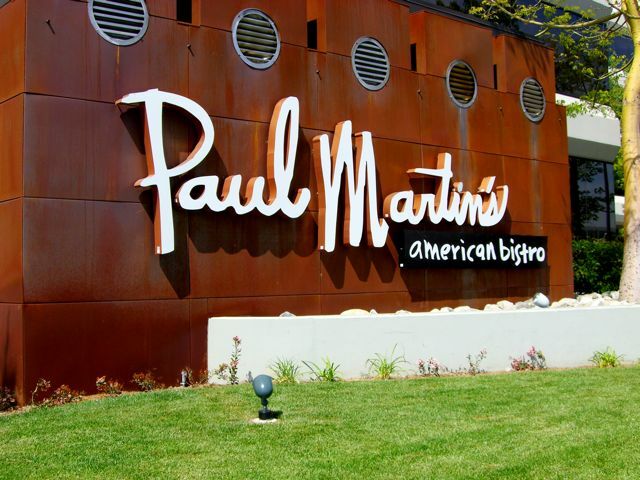 Paul Martin’s American Bistro – On Rosecrans just west of the 405 fwy in El Segundo. Paul Martin’s is a relatively new addition to an already happening El Segundo dining scene. They’ve been open since February in an office space that has been artfully converted to a 300 seat restaurant. Despite the size, I’m told that weekend nights still come with a substantial wait, so do yourself a favor and call ahead for a reservation. At 2pm on a Sunday however, I had no such problems. In fact, I pretty much had the entire bar area to myself. Speaking of bars, Paul Martin’s has a great one. 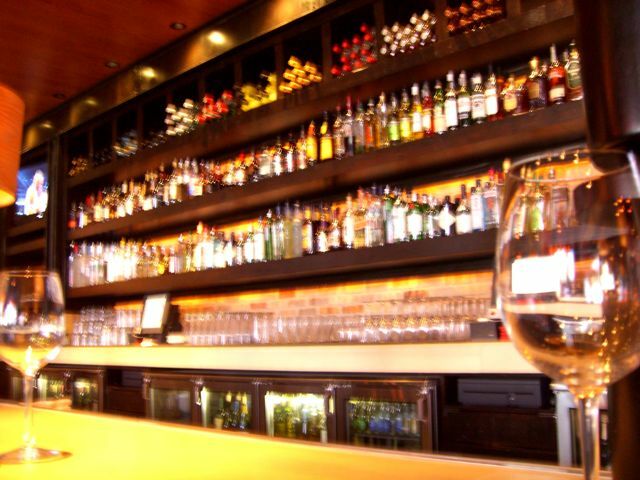 They offer over 70 bottles of California wine by the glass and all four beers on tap are also from the golden state. For the beer fans out there, they offer Firestone Pale Ale, Anchor Steam Lager, Lagunitas Pilsner and Lost Coast White Ale. Wine aficionados can check out the wine list here. In the interest of full disclosure, I had the Firestone Pale ale which brought back fond memories of my time at UCSB. 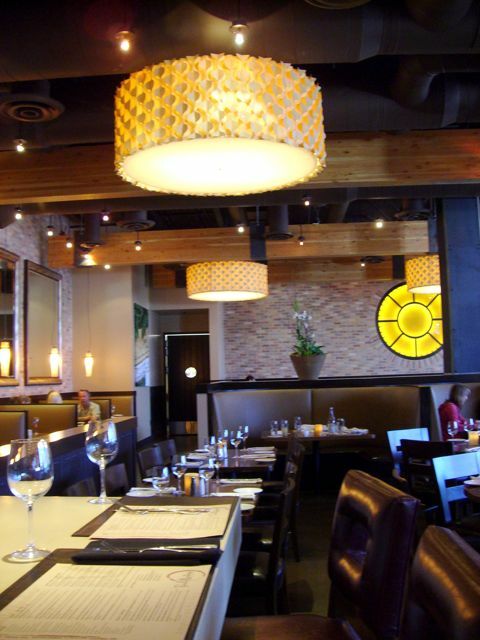 All of the meat served at Paul Martin’s is free range, and free of antibiotics and hormones. 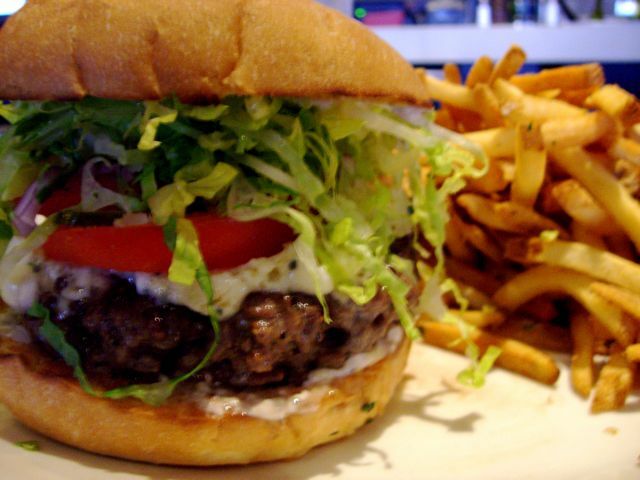 It is for this reason only that I decided to indulge with a bistro burger. Jack can vouch for the 3 mushroom burger which boasts a patty made of portobello, cremini and shitake mushrooms. Just like my last burger at The Counter, this beef is provided by Meyer Natural Angus. They are the only ranch in the country that is certified by the American Humane Association. PETA hasn’t signed off on them yet and I’m not expecting them to, but still, it’s a step in the right direction. I got my burger with Pt. Reyes Blue Cheese which you can read more about here. All I really have to say about it was that it was awesome. It had great bite, which is what you expect from blue cheese, along with a richness that is slightly more rare. The produce on the burger included tomato, pickle, onion and lettuce which was locally sourced and extremely fresh. The bun was delicious and had the added benefit of being bereft of all preservatives. Oh yeah, it looked pretty damn good too. "that IS a tasty burger" - Samuel L.
Overall, the burger was in the same class as The Counter. It lacked all the options, but instead had a certain refinement that can’t exist on a build-your-own burger. Also, be aware that the menu changes seasonally based on what produce is available. For example, they now have more spring veggies like carrots, as opposed to the root vegetables that are more available in winter. Whatever you do decide to order, it’s guaranteed to be fresh. 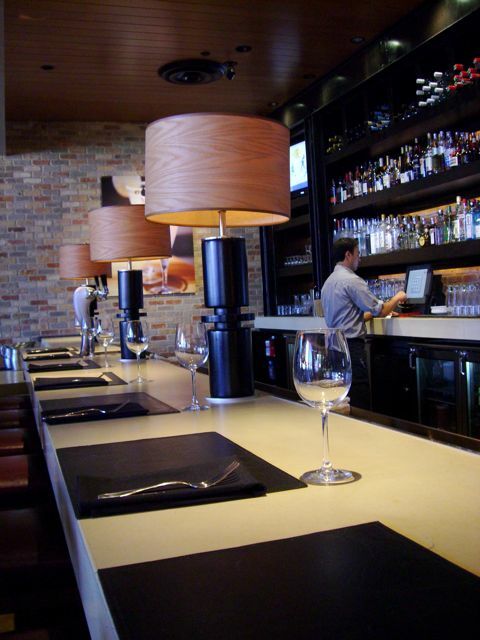 For the after work drink crowd, the bar area is the perfect spot to drop in for a cocktail. There are plenty of tables and I’m pretty sure if you drink it, they have it. Plus, it’s a really great looking restaurant. It looks like they dropped some serious cash making the place the class of El Segundo. Not that you can tell with the way I take pictures. The bottom line is that this place is doing all the right things. They are helping us to live better lives through simply using our local resources more wisely. It’s addition by subtraction. We help the little guy, the local farmer and reward those who grow organic, while passing on pre-packeged, processed poisons that are making us fat and sick. I don’t know about you, but I hope this is a trend that catches on.